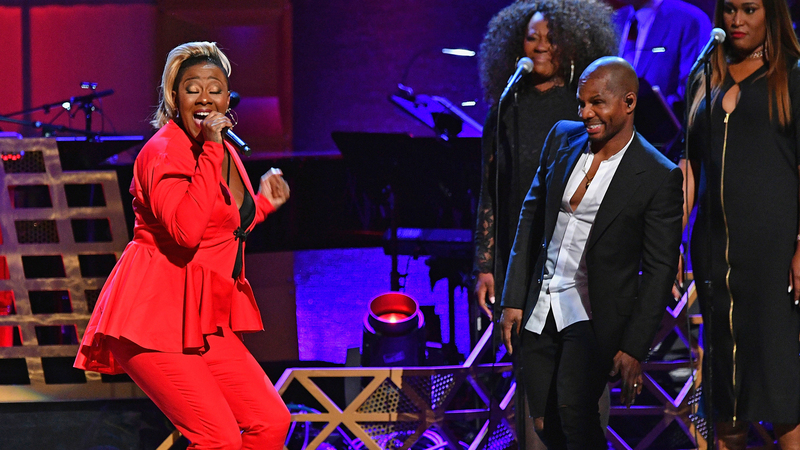 Le’Andria Johnson performs with Kirk Franklin onstage during the GRAMMY Salute to Music Legends at Beacon Theatre on July 11, 2017 in New York City. Photo by Dia Dipasupil/Getty Images for NARAS. Now in its 45th season on PBS, GREAT PERFORMANCES is America’s preeminent performing arts television series, showcasing a diverse range of performing arts specials from around the world. Since its premiere in 1972, GREAT PERFORMANCES has presented an international roster of renowned artists and performing art companies of all genres. From new productions of timeless classics to innovative performances by emerging artists, GREAT PERFORMANCES is proud to carry on its legacy of bringing the best of the performing arts to an American public television audience. To date, the series has been awarded 67 Emmy Awards and six George Foster Peabody Awards. GREAT PERFORMANCES is produced by THIRTEEN Productions LLC for WNET New York Public Media. Under the GREAT PERFORMANCES banner, THIRTEEN also presents GREAT PERFORMANCES AT THE MET, which recently completed its eleventh season. Major funding for GREAT PERFORMANCES is provided by The Joseph and Robert Cornell Memorial Foundation, the Anna-Maria and Stephen Kellen Arts Fund, the Irene Diamond Fund, Rosalind P. Walter, the LuEsther T. Mertz Charitable Trust, The Agnes Varis Trust, The Starr Foundation, the Kate W. Cassidy Foundation, Ellen and James S. Marcus, The Philip and Janice Levin Foundation, Thea Petschek Iervolino Foundation, Lenore Hecht Foundation, The Abra Prentice Foundation, Jody and John Arnhold, The Lewis “Sonny” Turner Fund for Dance, Public television viewers, and PBS.